Walmart is world-famous for its deep discounts on everything from bath soaps to bicycles, making it one of the nation’s most popular stores for credit card users. 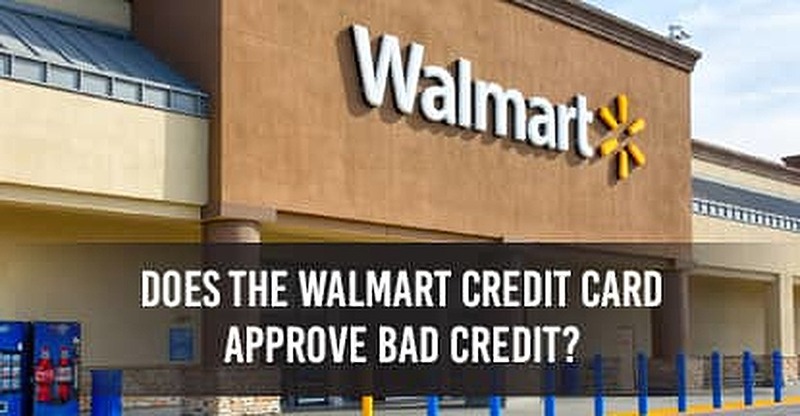 While there are a handful of reports from those with credit scores in the 600 range getting approved, the general consensus is that Walmart largely declines applications from those with low FICO scores, past bankruptcies, repossessions, and high levels of debt. Did Walmart Approve Your Poor Credit? If Walmart starts approving those with negative credit histories, we’d love to be the first to know. Please reach out to us on Twitter (@CardRates) or Facebook to let us know your experiences in applying for a Walmart credit card. We’ll update this post if Walmart’s approval standards change. In the meantime, happy shopping! Toby Sembower has been a leading expert on credit cards since 2004, authoring advice, reviews, and comparisons of credit card offers to audiences of millions in that time. A frequent contributor at CardRates.com, Toby's advice also appears on sites like Yahoo! Finance, CreditCards.com, Entrepreneur.com, CreditCards.org, and many other popular personal finance platforms. In addition to lessons learned from his compelling personal story — having used credit cards responsibly to raise his own FICO score from 550 to 820 — Toby’s connections and regular conversations with top issuers like Chase, Capital One, HSBC, and Wells Fargo enable him to give readers unique insights into upcoming card offers, rewards programs, and approval criteria.